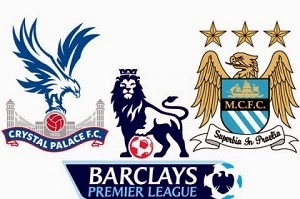 On Monday sixth of April Crystal Palace will host Manchester City. A very important game for the visitors, because they are still chasing the title this season. On the other hand the home team is situated in the middle of the table with no chance for relegation or winning something. Manchester City is the best scoring team in the league with 62 goals in 30 games played.Yes, they have lost two of their last five games, but still only six point behind the leaders Chelsea. The team is not playing in the Champions League anymore and they are going to put all their efforts to defend their title. Crystal Palace are not very good home team. They have only 17 goals scored, while City as away team is taking the second place with 31 goals. With all that said I think that the better team which is definitely City will take the three points here with ease!